I love my Swiffer, but the supplies are expensive and most definitely not the most eco-friendly choice. A refillable Swiffer WetJet would be ideal, but they don't sell those. Sometimes we have to take matters into our own hands! There are some tutuorials online about how to make the cap removable, but I'm not comfortable with them because I am nervous about the cap leaking and ruining my Swiffer. 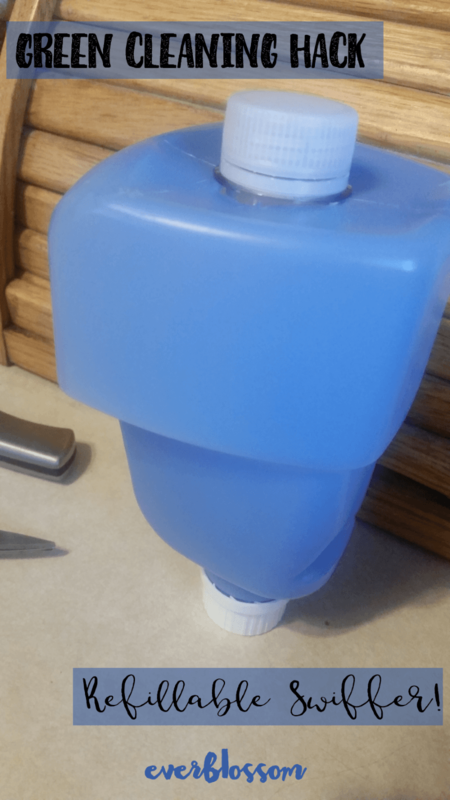 So I decided to install a screw cap on the opposite end of the Swiffer cleaning solution bottle to make it refillable. I am not disappointed! 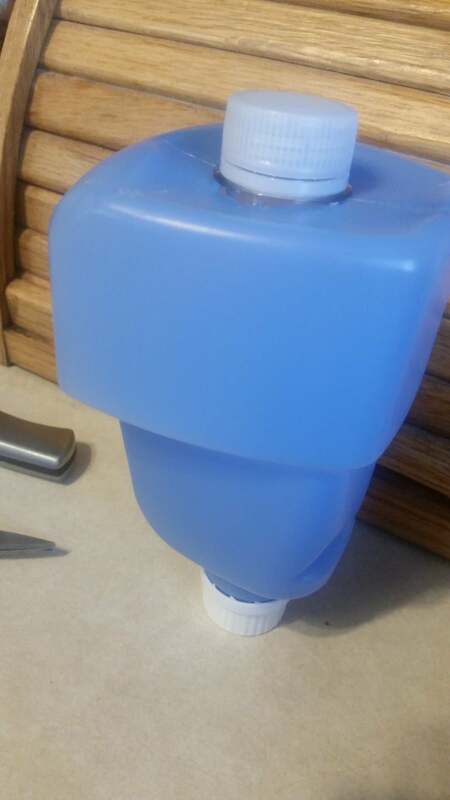 First, cut a hole in the bottom of the cleaning solution bottle. If you have an xacto knife, that would be ideal. I did not, and used a scissors. So my hole has more angles to it than any hole should. But we can make it work. Next, cut the top off a plastic screw-top bottle. 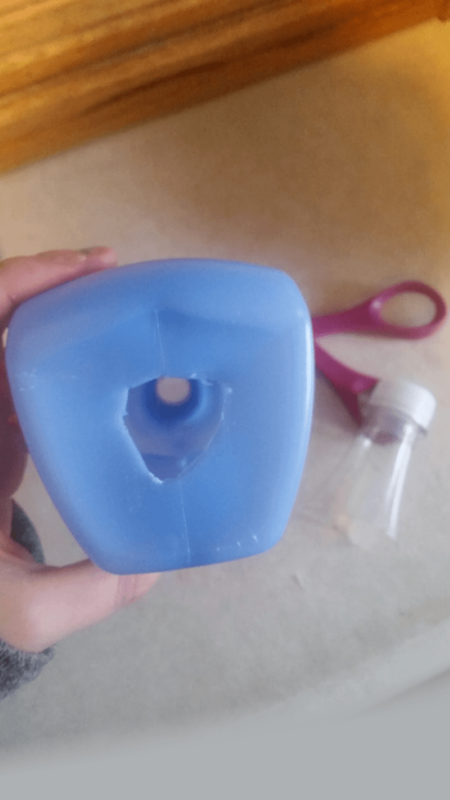 Keep in mind that you want the base of this piece to be a little bit wider than the hole in your cleaning solution bottle so you can easily create a seal. 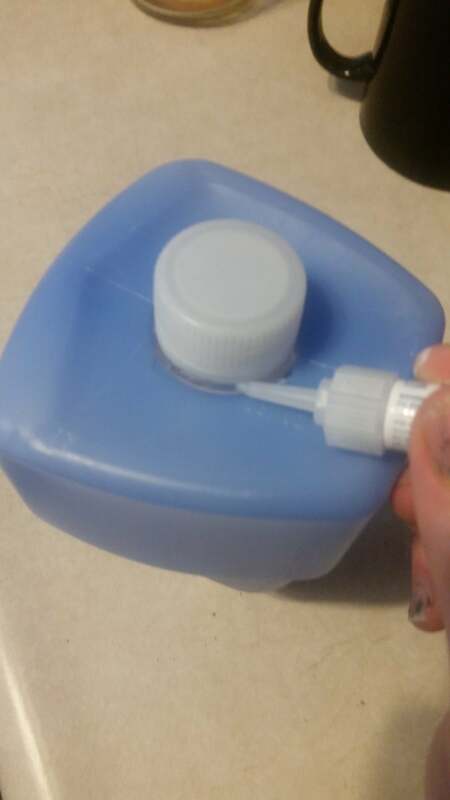 Insert the new cap into the cleaning solution bottle. You'll need to squeeze the base of it to maneuver it into the hole, but it will be pretty easy if you choose a flexible plastic for that part. 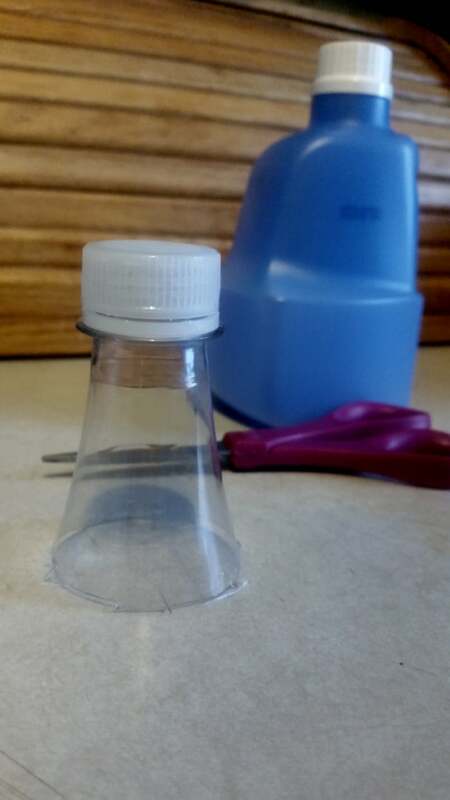 Seal the cap onto the bottle with a strong, water resistant glue. Let it dry completely before adding your cleaning solution. Use whatever cleaning solution you want! I wouldn't add any baking soda or powders to it, since it would probably damage your wet jet. I just use soapy water, sometimes with a few drops of tea tree oil or lavender essential oil. If you want to take your Swiffer further into green territory, you can also make or purchase reusable pads for it. I think these look fabulous! True, Swiffers are expensive and one just can’t find a refillable swiffer wetjet to buy in the store. I guess this would do just fine. I’ll just have to go look for the materials needed. Thanks for this Kylie.